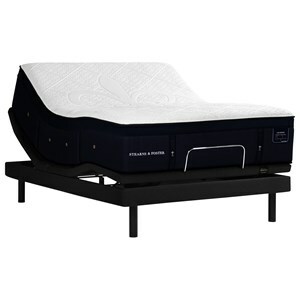 An even higher-density foam engineered by Tempur-Pedic scientists to deliver an elevated Stearns & Foster feel. Experience indulgent comfort and premium pressure relief to get the sleep you’ve always dreamed of. Our one-of-a-kind innerspring design, with densely packed coils provides even more adaptive support for every type of sleeper. This version of our IntelliCoil® is designed to stretch across the entire mattress for long-lasting support – and plush, yet conforming comfort. The Pollock King 15" Luxury Plush Premium Hybrid Mattress and 5" SXLP Low Profile Foundation by Stearns & Foster at Morris Home in the Dayton, Cincinnati, Columbus, Ohio, Northern Kentucky area. Product availability may vary. Contact us for the most current availability on this product. Stearns & Foster®, makers of the finest bedding in the industry, presents its newest mattresses in their Lux Estate Hybrid Collection. Built with the finest materials, long lasting, comforting and supportive, by their Certified Master Craftsmen. 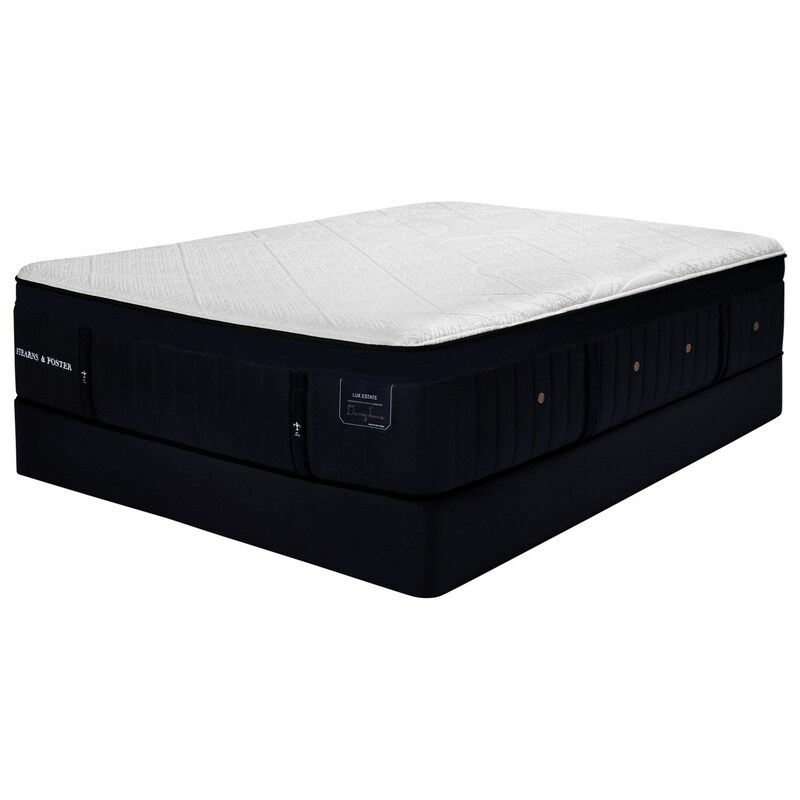 Using Indulge Memory Foam and Indulge HD Memory Foam for comfort and patented Intellicoil®HD for support, you'll be sleeping in luxury. An additional layer of Intellicoil® Micro Coils adds long lasting comfort and support. Indulge yourself today with a mattress from Stearns & Foster®. The Pollock collection is a great option if you are looking for Mattresses in the Dayton, Cincinnati, Columbus, Ohio, Northern Kentucky area. 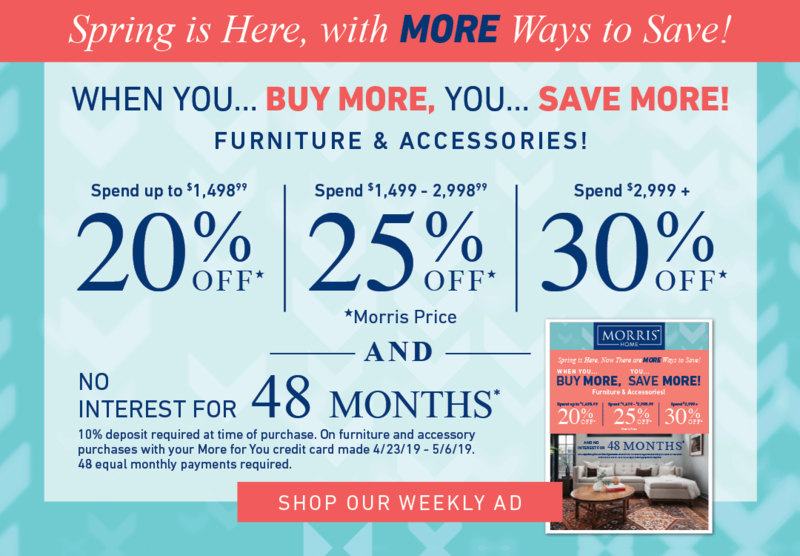 Browse other items in the Pollock collection from Morris Home in the Dayton, Cincinnati, Columbus, Ohio, Northern Kentucky area.